Strategy 22: What the equity theory teaches us about happy relationships. What does the equity theory teach us about happy relationships? Never swap teams. And, be sure to bring your best self to the sport. The equity theory evolved in the 60’s by a workplace psychologist, J. Stacy Adams. She discovered that people value fair treatment to continue feeling motivated in their relationships with both coworkers and the employer. What’s interesting about equity is that it is not the same as equal. Equal says, we both make the same contributions (time, energy house cleaning, money making, lawn mowing, etc. ), and we receive the same amount of benefits (love, affection, clothing budget, time for sleep, etc.). The equity theory, however, is focused on the ratio of contributions and the ratio of benefits. Just as with any team, the idea is that we will invest equal amounts of energy, effort and time, but they may consist of very different things. Equity says, mowing the lawn for two hours is a similar investment as cleaning the house for that long. Or, equity may say, the time I spend working outside of the home to earn income for our family, is in alignment with the amount of time you spend inside our home working to insure our comfort and ease of living. A lifetime partnership with your mate is designed to add to your lives. When you share the assets you bring to your relationship, together you can experience greater comfort, excitement, benefits, enjoyment, learning and more, than you could otherwise experience alone. At least that’s the idea. When your partner wins, you win. When you win, your partner wins. How you contribute may look very different, that is okay. 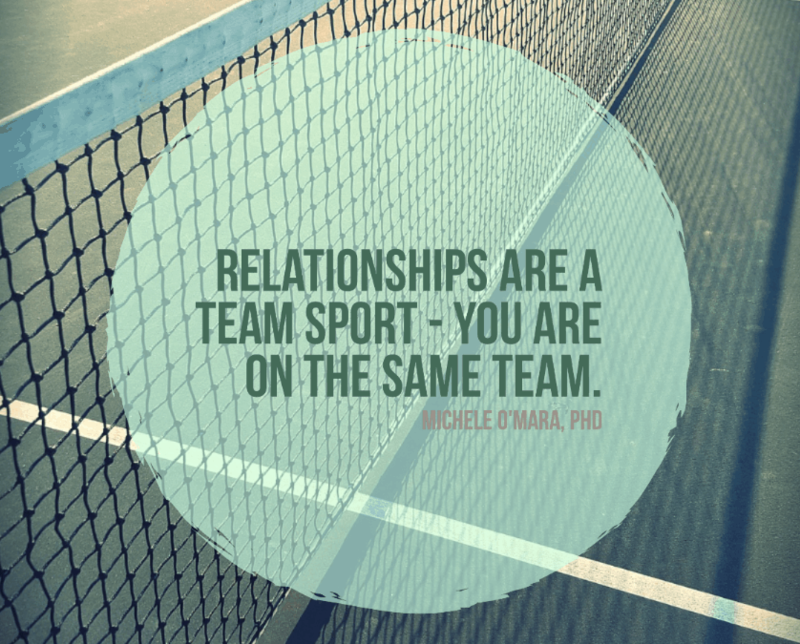 When each partner is making equitable contributions to your relationship, and there is a mutual sense of respect and appreciation for these different contributions, you are both on a winning team – the same team. 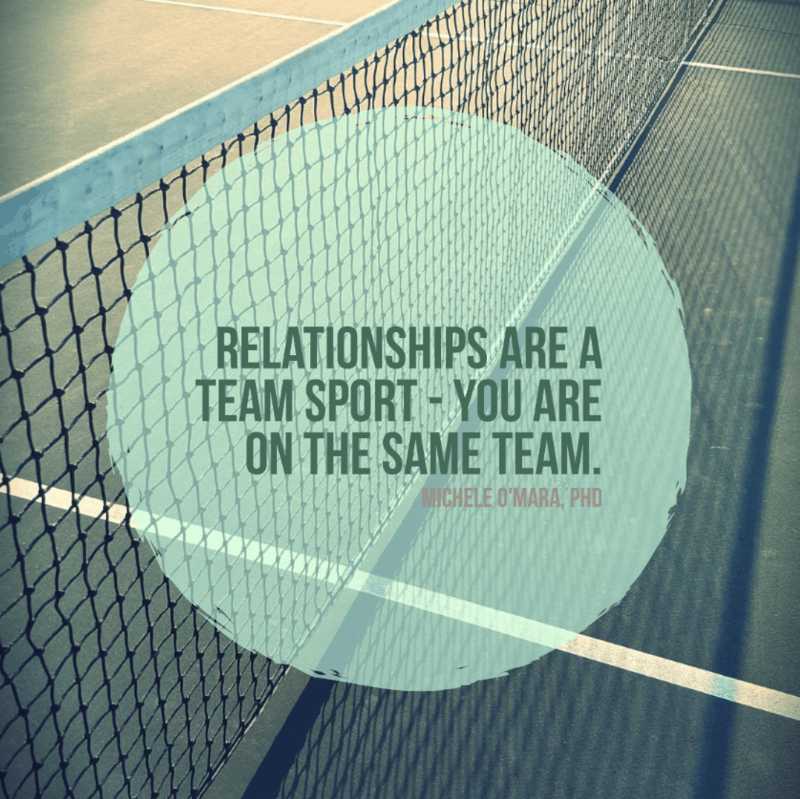 Outstanding couples do what is best for the relationship (the team) regardless of what is “fair” or whose turn it is. If you were playing a game of ping-pong, you would not refuse to return the ball because the last three that crossed the net came to you instead of your teammate, would you? No. You do the next right thing for the relationship with the belief that in the end you will benefit from your investment in your relationship. Sometimes we lose track of our contributions and where our energy is going. The thing about relationships, though, is that the partner who begins to feel like their ratio of contributions is higher will slowly begin to feel the stress and pain of this. If this happens, know that you can easily correct course if you communicate these concerns kindly and with care, and if you have a partner who is willing to hear you and respond to your concerns. If you do not feel like the equity theory is at play in your relationship, and you find yourself in conflict more than at peace, you may be struggling with how to communicate effectively. Lesbians interested in learning skills to move from Conflict to Connection can join me in a one-day skill-building workshop on this topic. (More information here).